MILDRED FIERCE In Ryan Landry’s dizzily entertaining musical parody of “Mildred Pierce,’’ the sublime Varla Jean Merman devours a signature Joan Crawford role like one of the pies Mildred sells to keep her no-good daughter in the lap of luxury. 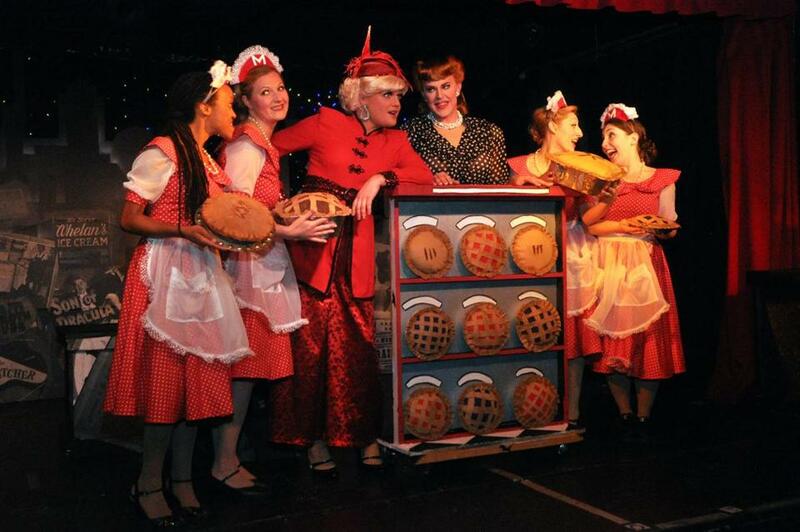 Pictured (from left): Robin JaVonne-Smith, Laine Binder, Olive Another, Varla Jean Merman, Meredith Langton, and Rosalie Norris. Through March 17. Ryan Landry and the Gold Dust Orphans. At Machine. 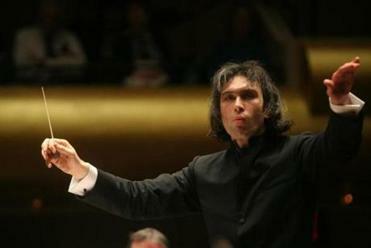 The closely watched conductor Vladimir Jurowski returns to Boston, this time leading his London Philharmonic Orchestra. Jon Imber’s “Low Tide” at Alpha Gallery. FREEPORT [NO. 006]: NICK CAVE Three faceless, funky, sculptural costumes by the fabric artist, seen in conjunction with a film projection. Cave’s exuberant “Soundsuits” recall anything from African ceremonial garb to neon-hued yeti to conglomerations of Beanie Babies. Through May 27. Peabody Essex Museum, 161 Essex St., Salem. IN HARMONY: THE NORMA JEAN CALDERWOOD COLLECTION OF ISLAMIC ART Ceramics, illustrated folio pages, and drawings on paper, most them exquisite, make up this exhibition of Persianate work from the 9th to 19th centuries. Through June 1. JON IMBER: WINDSWEPT Imber, known for his muscular, expressionistic landscapes and still lifes, was diagnosed with ALS last fall. His right hand weakened, so he started painting with his left. Paintings from before and after his diagnosis are on view. Pictured: a detail of Imber’s “Low Tide” (2012). Through April 3.